What if you can't rent out your properties? This is one of the frequently asked questions and it relates to tenant management. I get asked this question a lot, by people that I talk to about this idea of creating passive income from rental properties and also indirectly by banks. By limiting how much you can borrow, they are effectively saying "hey, we are not sure if you can afford this loan". Sure, you plan to rent them out but "what if" all your tenants either don't pay or worse still, all decide to leave? Firstly, what if they don't pay? There are obviously ways to mitigate this problem. Firstly, there is the 2+1mths deposit that they pay up front. Normally, if they are late in paying their rent, that is usually a red flag that they are planning to leave; tenants are normally worried that you may delay paying them back their deposits, and would often try to "run-down" their deposits. Hence, they will not pay the last month or if possible last 2 months. You need to be alert, and I normally would just call them and ask if they plan to leave. I don't mind them not paying for 1 month but not for both. And more importanly, I get to quickly look for a new tenant before the existing one moves out. So, in most cases, my flats are never empty for long. 1) Diversify - there is a saying " If you owe the bank RM100k, and you don't pay, you have a problem. But if you owe them RM1mil, and you don't pay, then THEY have the problem". What it means is: diversify. 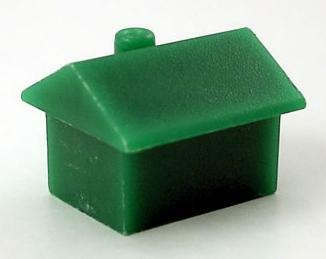 Think about this: if you have 20 rental properties, what are the chances that they are all empty at the same time? Not likely unless there is a bubonic plaque or SARS hitting the area, right. So, you need to make sure that even if half of the flats are empty (which is unlikely); that the rental from the other half is enough to cover all your bank instalments for that month, while you look for new tenants. Now, which is easier to rent out? A condo at RM1500 per month rental or a flat for RM500 per month. Chances are, they are both easy or difficult to rent out depending on location, etc. But, If you had 3 flats each getting you RM500/mth (or total of RM1500) - the chances of you not being able to rent all of them out, at same time is pretty slim. Further, as I mentioned earlier in my blog posting, the average wage earner in Malaysia can afford RM500 for rent but there are not many that may be able to afford RM1500/month, and for those who do, normally have more choices to chose from. Those who ask the question, what happens if you can't rent them out always assume that you as a landlord would sit around and do nothing. And at the end of the month are surprised by your tenants all deciding to leave at the same time. In reality, you would have warning signs such as late payment, and in some cases, the tenant will let you know in advance they are leaving. So you need to quickly mobilise your agent to find new tenants. 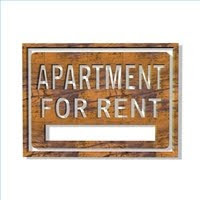 In an area which is "hot" for rental, there is usually not much problem finding someone to fill the vacancy. In the worst case scenario, if you reduce the rent a little, you would be able to rent it out quickly; this is an option as less money is better than no money (if its empty for one or two months). I hope this answers the oft asked question of "what if you can rent them out".